 In April, Center for Inquiry | Michigan, in partnership with the Hauenstein Center for Presidential Studies at Grand Valley State University, hosted an historic debate between Christopher and Peter Hitchens. The brothers, long estranged and recently reconciled, had clashed before in print and on the radio. But this event marked the first time that they appeared together on stage, one-on-one, before a live audience, to debate religion and foreign policy. And this was not just any stage.0,000 churchgoers each Sunday. This stage was housed in ultra-liberal Fountain Street Church, a speaking venue over the years for the likes of Clarence Darrow, Susan B. Anthony, Hellen Keller, Margaret Sanger, Eleanor Roosevelt, Robert Frost, Alan Watts, Malcolm X, Michael Moore, and many others. One wall of the sanctuary is lined with stained glass windows depicting traditional Biblical personalities. Windows on the opposite wall feature more enlightened figures such as Plato, Leonardo da Vinci, Roger Williams, George Washington, Desiderius Erasmus, Louis Pasteur, Abraham Lincoln, Thomas Jefferson, and yes, even Charles Darwin. It was on this stage that brothers Christopher and Peter Hitchens stepped out before an audience of almost 1400 people anxious to see sibling rivalry at its finest. Christopher Hitchens’ name is, of course, well known to many naturalists and super-naturalists alike. His positions on religion and the War in Iraq are often polarizing and have created admirers and detractors on both sides. Younger brother, Peter, is a Londoner, and although less well known here in the States, is also an accomplished author, journalist, and media pundit in his own right. The first blows of the evening were landed over the proposition “The Invasion of Iraq was wrong” with Peter winning the coin toss — and winning the audience’s allegiance for his position against the war. “I don’t want to make this too easy for myself,” Peter opined, “because it seems to me that it is actually a fantastically easy position to take.” And so it seemed to most of the crowd as Peter bemoaned “the rank stupidity of arguments in its favor” and recounted many examples to underline what he sees as the carelessness and callousness with which the war has been waged. Christopher’s rejoinder in support of “the Mesopotamian War” was rousing, sincere, and laced with its own share of moral revulsion — at Saddam Hussein’s brutality and the world community’s complacency for so long. His boldness may have transformed into hyperbole when he proffered that “The liberation of Iraq… will stand…as one of the greatest decisions of American statecraft… as one of the things that [the American people] will be proudest of in the future than any decision we’ve ever made.” In the end, some audience members observed that it was the most brilliant defense of the war they had ever heard — all the while remaining unconvinced by Christopher’s arguments. To hear Peter Hitchens’ response, watch the full debate below.